It is a privilege to welcome you to CASE, an extraordinary learning community where everyone is actively engaged and achieving excellent things, every day. We believe that everyone has the right to an independent and fulfilling life. Our support offers individuals advice and training to enable them to build life skills, develop confidence, help each other and look forward to a more positive future. 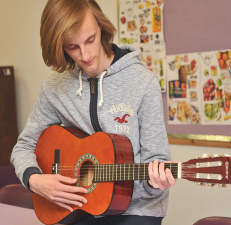 We are dedicated to continually improving the lives of every individual who attends our centre in Hull. Life at CASE offers a rich trainee experience and we believe everyone has the potential to achieve what they want to. We provide an exceptional environment, permanent support via our in-house dedicated welfare team and help create healthier lifestyles. Trainees can expect to get the best experience possible at CASE, as we place them at the heart of everything we do. We work closely with families, social workers and partner organisations to make sure every trainee makes the most of their time with us. Our facilities provide opportunities and choices for all trainees to achieve their full potential. CASE is unique in many ways, with a state-of-the-art building and exciting future expansion plans. 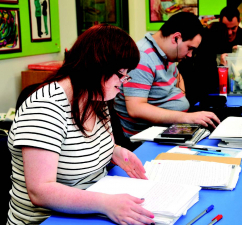 We believe we have the best tutors and support workers, and we are the largest training provider of our kind in Hull. If you are thinking about the future and not sure which direction to choose, we can offer you help with that. We hope that this brochure paints a true picture of what CASE is about. We are really proud of our trainees and staff and everything we achieve together here. We look forward to welcoming you to CASE. Our trainees independence is a high priority at CASE. Our independent living skills sessions cover money management, cooking, ironing and cleaning, with each one tailored to individuals’ needs and abilities. Our trainees have the option to undertake accredited qualifications. The courses are designed to develop life skills and personal social development, build confidence and aid independence. Catering is at the heart of CASE. Guided by our staff, our trainees learn to prepare and cook food in a professional kitchen environment, before serving their delicious creations to other trainees and staff throughout the day. At CASE, we help trainees learn computer basics, such as keyboard layout, printing, saving and filing in their user area on the network. For those who love the great outdoors, our three multi award-winning allotments provide a relaxed, calm environment to develop gardening, DIY and teamwork skills. Our football team, CASE FC, formed in 2015 and, since then, has grown in numbers, stamina and commitment. 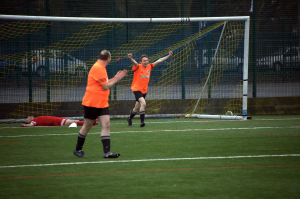 Our team train twice weekly, with matches on Thursday mornings. 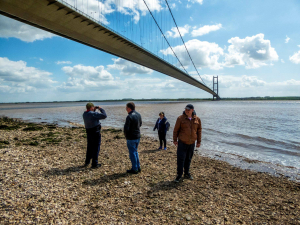 CASE’s photography group meet every Thursday to go out in Hull and beyond, to take pictures of events and places of interest.